The Irvine Gang Green trumped the Orlando Calrissian, 9-1, at The Ballpark at Irvine. Irvine designated hitter Luis Miguel Martínez was named player of the game for his performance. He was 4-5 with a home run and 3 singles. He drove in 2 runs and scored once. Irvine starter Dae-ho Kim was credited with the win after throwing 104 pitches over 5.2 innings. His record now stands at 1-1. Irvine, now 5-3, has gotten their season off to a good start. 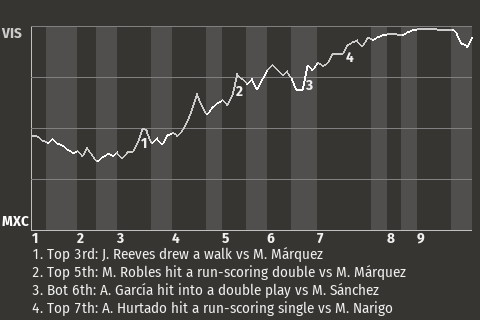 Martínez had a big at-bat with a runner on 1st in the bottom of the first inning, when he hit a 2-run home run. The Gang Green went on to win. "Enjoyed this one," Martínez told the Irvine Daily. "But it's back to work tomorrow." Special Notes: Víctor Quiñones and Todd McShane were ejected in the 1st inning for igniting a bench-clearing brawl.RP Junior Pineault was injured while pitching.